Being a 'social worker' is not the only means, to help and empower people around. Read the story of the lady who is a role model to a lot of women from across the globe who feel it is impossible to start a journey as an entrepreneur after a certain age! Her love for literature has today led to creating jobs for many women! Born in a family with a background of freedom fighters and police officers, her heart craved to help people around. To help every person around in some way possible was a vision born in her blood, passed on through genes. She recalls her childhood days, at the age of 10 when she had a lot of love for writing. Her small write-ups inspired her father to get it published and let the world know about his daughter. With not much knowledge about publications, he continued to approach many newspaper publishers, who rejected the write-ups not because it was not good, but because the write-ups had so much maturity that they didn’t seem like the ones written by a child of 10 year of age. As the rejections continued, her dream to become an author only became stronger. It was once when she was admitted in the hospital due to her physical health problems (she is a chronic asthma patient), she recalls, “I was made to stay at the ICU, at that time, when I felt I could still do something although my body was at rest. I remember, I wanted to continue to write although I did not have much of a physical strength. I also remember times when I was treated by nebulization machines; I continued to write with the mask on. That made people around me understand and realize the love I had for writing”. As shared earlier, her thoughts to help the society in some way possible continued to grow in her mind. 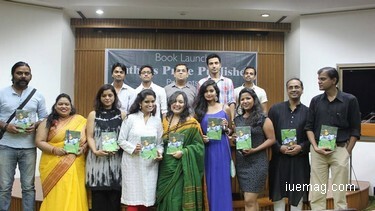 That was when she decided to write to empower people from different sections of the society. She began to write poems based on human sensitivities and issues like environment, women’s placement in the society, street children, orphans, infanticide and importance of education. Bringing all these poems, she wanted to publish them altogether in a single book, naming it ‘Beats of Beauty’. As she began to look for publishers, there were people who criticized her just because she was a woman. At times, when the publishers agreed, it was hard to afford the huge amount of money for the publication. When she happened to discuss about the situations with her friend, Rajwinder Kaur Bains and her husband, they consulted and helped her to start a publication of her own. Having worked with various media houses earlier, she had, by then learned about publications. Her dreams to help people by creating jobs and to become a writer, led her to the founding of a publication, along with a friend of hers - Ms. Rajwinder Kaur Bains. 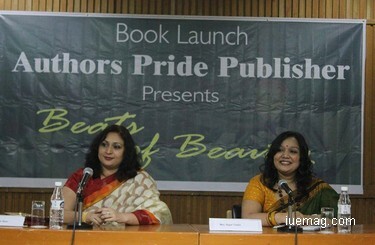 Her first book - ‘Beats of Beauty’ got published through her own publication, which not only increased her confidence, but also her responsibility to help more women. 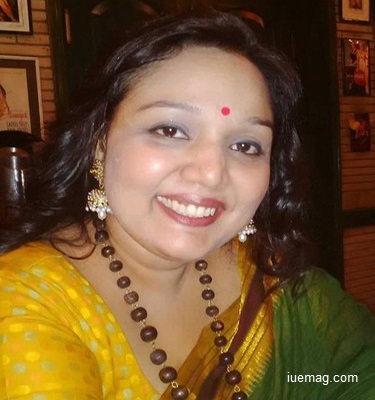 Meet Ms. Rajul Tiwari, Managing Editor and Co-Founder of Authors Pride Publisher Pvt. Ltd, an all women publication that inspires and empowers women to utilize their time to write. With that, Rajul shares that she dreams to be the reason to create more women entrepreneurs like herself. She believes that women have the utmost power to do anything in this world that is sure to depend on women at one or the other phase of life. “Life has to continue to cross hurdles. The will power to cross them is what proves our strength. It’s never too late to start! If I could start at the age of 34, anybody can; If I am able to manage my business along with my family and as a lecturer, anybody can. Human potential does not have any limit, especially if you are a woman, you have much more power and experience” are her thoughtful experienced message to aspiring women entrepreneurs. The belief to stand as an example continues to push and drive her towards success. The world needs more women like Rajul Tiwari, who once again proves that neither does age nor financial status decides the future, but belief and effort does! Any facts, figures or references stated here are made by the author & don't reflect the endorsement of iU at all times unless otherwise drafted by official staff at iU. This article was first published here on 6th February 2016.